Freshwater Bay is located on the north Olympic Peninsula on the Strait of Juan de Fuca west of Port Angeles. 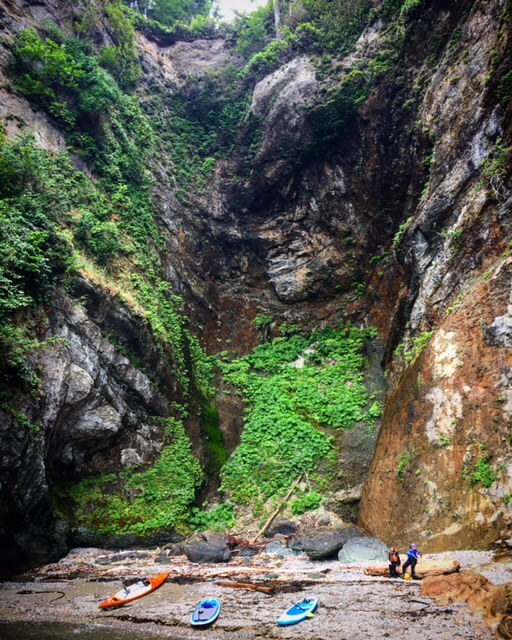 The recently un-dammed Elwha River empties into Freshwater Bay. Launching our boards on the west side of the bay, we’ll start out by rounding a mussel and tide pool covered sea stack called Bachelor Rock. Then paddle below below 400′ cliffs while exploring remote pocket beaches, peek into sea caves while enjoying rich marine life below us. Alternatively, on calm days we can launch from Salt Creek Recreational Area 6 miles to the west. 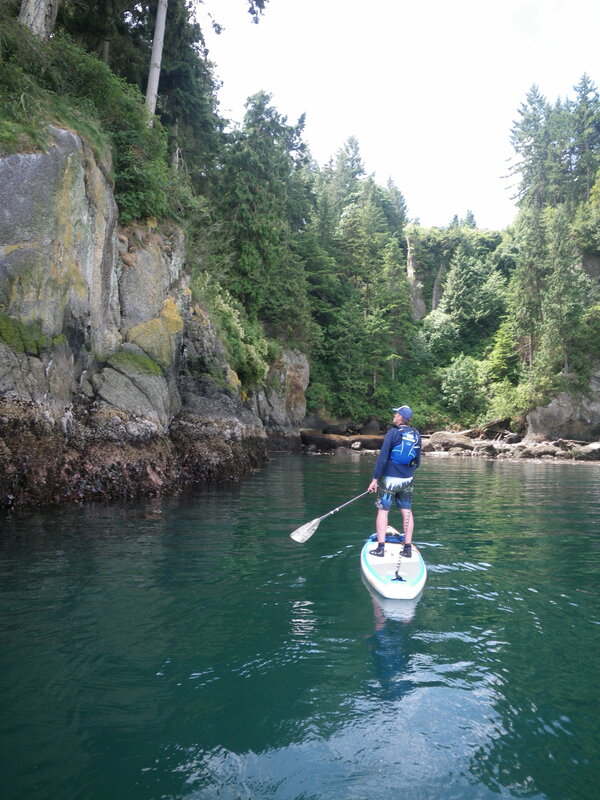 This stretch of coast is one of my favorites for a SUP tour in the region. See sea stars and anemones, a seal rookery, bald eagles and if lucky orca, gray and humpback whales! Across the Strait, we’ll see Vancouver Island and Mt Baker to the east. 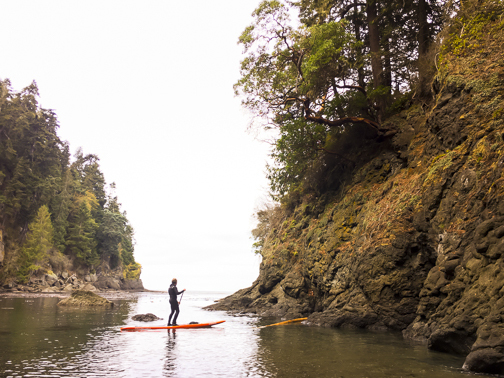 Paddling at your own pace, we’ll take breaks on remote pocket beaches covered in colorful rocks and bull kelp. Located 30 miles inland from the ocean, the Strait of Juan de Fuca has many coastal features but often with calmer conditions. 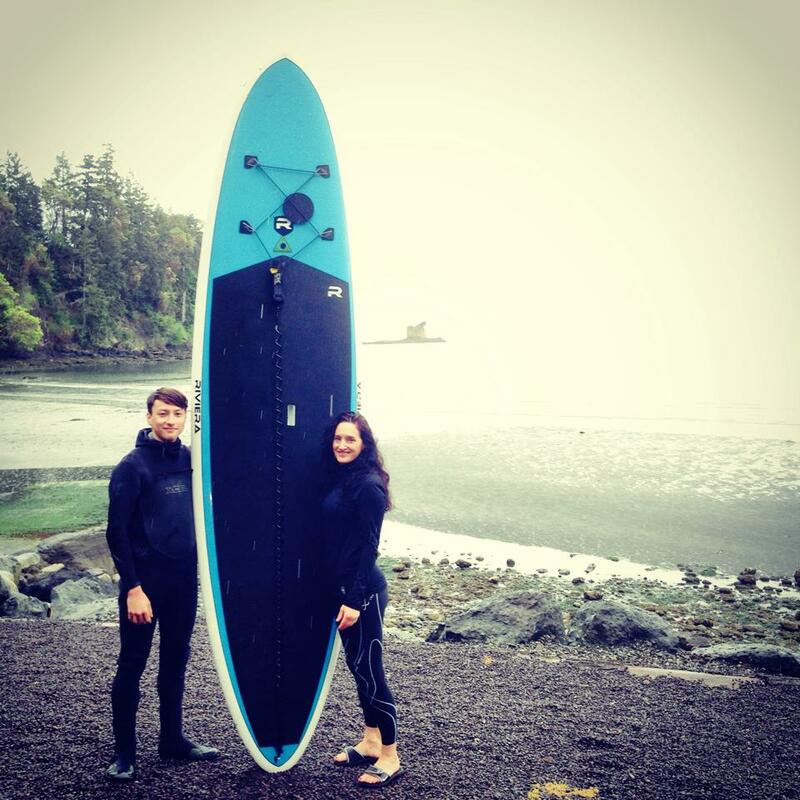 Pair this tour with a SUP Surfing class on nearby Crescent Beach a few miles away. Custom Scheduled Trips: Always available upon your schedule and conditions. Available all year. Skill Level: Intermediate. Take my SUP Basics 1 and/or 2 courses to gain essential skills for this tour. You should be comfortable standing in small waves and wind. Sitting and kneeling on rough water ok on this trip providing your have directional control. Group Rate (2-6 people): 199 per person with your own gear / 225 per person if you need rental gear. Rental equipment includes a stable board, paddle, leash, lifejacket, wetsuit and booties. 1 Person Rate (Private Tour): 399. All rental equipment is included in pricing. This includes a stable board, paddle, leash, lifejacket, wetsuit and booties.